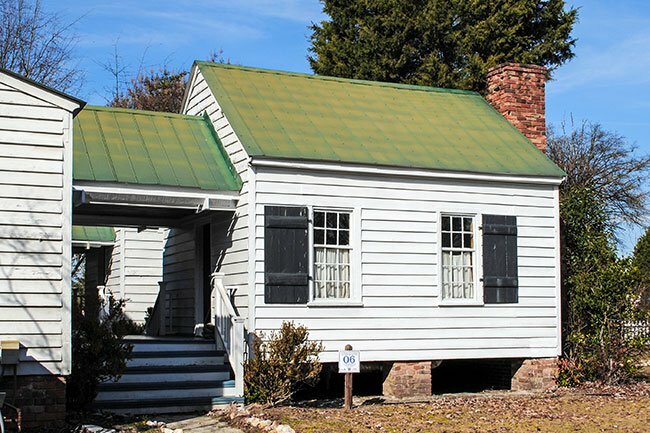 The John Fox House in Lexington was built around 1832, likely by Jesse Bates, its first owner. Two years later, the Lutheran Theological Southern Seminary moved to Lexington from its first home in Pomaria. Classes met at Corley Hall, and seminarians boarded both there and at this ten-room home while studying to become Lutheran priests. In 1943 the home was purchased by John Fox, an active man in the community who served as everything from justice of the peace to sheriff to state senator. It remained in the Fox family until 1969, when it was acquired by the Lexington County Museum. Today it is part of the museum’s exhibit of 36 historic structures in the heart of Lexington. The home was built in the I-house structure, meaning that it is a full two stories tall and one room deep with a central hallway. I-houses, named for their popularity among states beginning with an ‘I’ such as Illinois, Indiana, and Iowa, were popular in the early nineteenth century in the rural midwest and the South. Today the John Fox House operates as a museum. The attached slave dwelling can be seen in the photo below. The John Fox House is listed in the National Register. Please note that some of the information in this description below may be incorrect and differs from our history above, specifically in that we have found no evidence that the house was built or used as the seminary itself. Its sole connection, as far as we are aware, was its use as a boarding house for students. The Fox House was built for and housed the newly founded Southern Lutheran Seminary, the second oldest organized Lutheran theological school in the United States. The Lutheran Seminary started in 1830 when five young men journeyed to the home of Colonel John Eigleberger near Pomaria for instruction in theology from the Rev. John G. Schwartz. This being unsatisfactory to the Synod, a search was begun for a new site. This house was erected as a faculty dormitory with some classroom space. In 1855 the seminary was moved to Newberry. 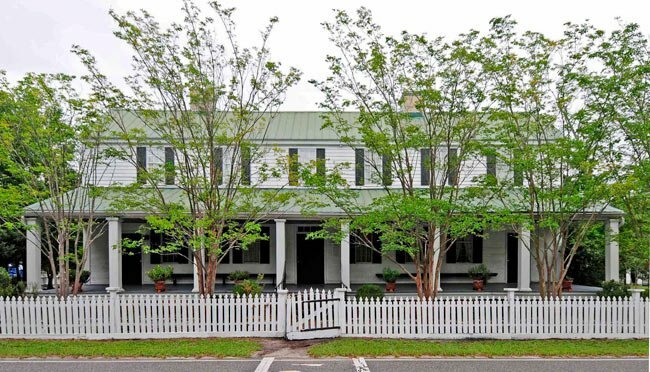 In 1858, the house was purchased by John Fox of Lexington, county sheriff, clerk of court, and state senator. 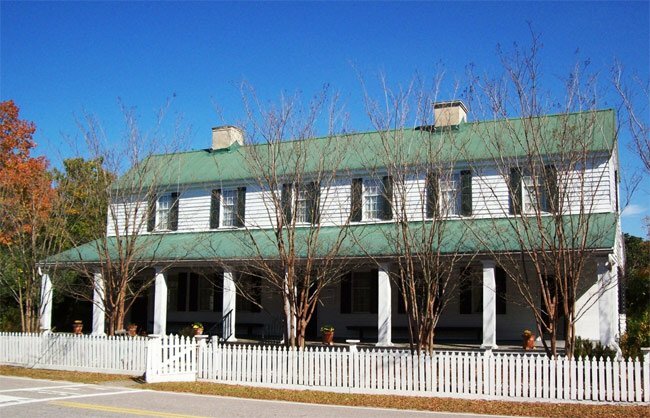 The Fox House is a two-story frame building with an 11-foot porch across the front façade. Two dependencies, a kitchen and a housekeepers quarters, are attached to the rear by open breezeways. Three doors open on to the front porch and one to each breezeway. The house has two chimneys, each with four fireplaces. Seven of the eight mantels are original. Each of the two dependencies has its own end chimney. All doors and windows are original. Good news – our information matched yours already, Mr. Fennell. Like you, we cannot find evidence that the the house was built for or used as the seminary itself. We have made a note before the National Register description to clarify that we differ in our assessment. Thank you again! Despite what the National Register nomination says, the John Fox House was never a part of the Lutheran Seminary. It was constructed ca. 1832 by Jesse Bates and bought in 1843 by John Fox. Fox rented rooms out to Lutheran Seminary students though. Also, the term I-house comes from the shape of the house, not from any state name.